Alexander P. Brackett is a registered patent attorney and a member of Middleton Reutlinger’s intellectual property practice group, focusing on patent law, U.S. patent prosecution, intellectual property licensing, and foreign patent prosecution. Mr. Brackett has provided patent prosecution expertise to many business, both large and small, obtaining patents for clients in technical fields as diverse as software systems, process automation systems, complex mechanical and electro-mechanical systems, health care, medical devices, conveying systems, concrete finishing systems and military tactical hardware. Mr. Brackett has represented clients in numerous licensing, intellectual property asset sales and acquisition transactions, joint ventures, and various business transactions incorporating all aspects of intellectual property, as well as participating in successful Markman hearings and complex patent infringement litigation. 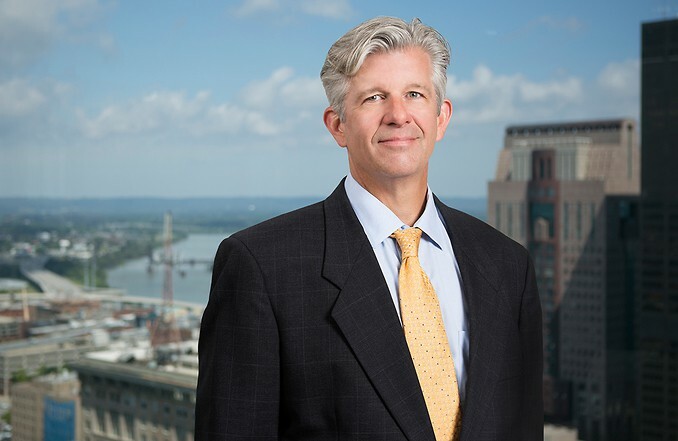 Prior to joining the firm, Mr. Brackett worked extensively as an electrical engineer, primarily with Fortune 100 companies in the areas of process automation and control systems, power distribution, electronics, sensors, and software programming in a wide variety of proprietary programming languages. He designed and constructed test systems for gas turbine engines and process controls for a wide variety of consumer products lines. He also prepared and prosecuted patent applications in the electrical/electromechanical, gas turbine engine, computer/software, and extra-terrestrial satellite arts industries. Mr. Brackett is a member of the American Intellectual Property Law Association, Louisville Bar Association, Kentucky Bar Association and Ohio State Bar Association.